Russian Tea | Slavic Languages and Literatures, U.Va. 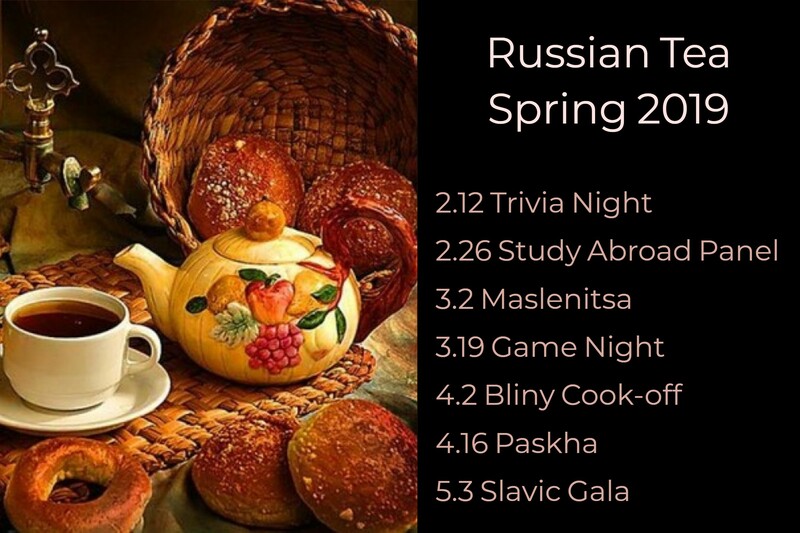 Russian tea and conversation events are held on a bi-weekly basis in New Cabell Hall 236. Students, faculty, staff, and community members of all proficiency levels come together for Russian conversation practice, while enjoying tea and treats! Events tend to revolve around central themes, including holiday celebrations, student exhibitions, poetry readings, humor, and music. Please contact Valeria Provotorova @ vp5bf@virginia.edu for additional information.